Share the post "Flowering Plant: the Chinese Lantern Or Physalis"
Physalis is a genus of flowering plants in the nightshade family (Solanaceae), which includes tomatoes, eggplant and chili peppers. 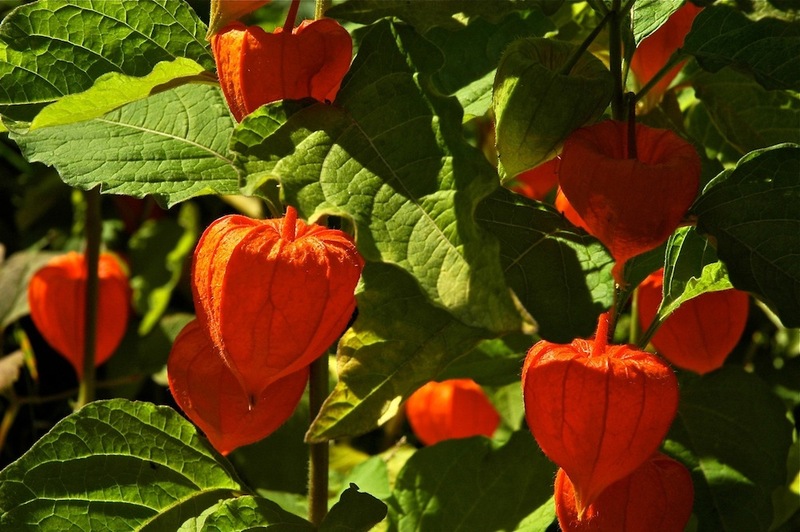 Other names for this plant include: the Chinese Lantern, Groundcherry, Winter cherry, and Golden berries. They can be found in the wild in many parts of Europe, South America, and Asia, but the majority of the species are native to Mexico. One name for Physalis peruviana is Cape gooseberry, not to be confused with the true gooseberries, which are of the genus Ribes in the family Grossulariaceae. While it is a flowering plant, the Chinese Lantern or Physalis is cultivated for its bright, orange lantern-like fruit pods that appear after the flowering period. They are typically available from September until November. Small, white flowers bloom late in the summer, followed by the fruiting period in the fall. The fruit is the size of a small cherry tomato and is enclosed in a papery husk, also known as the calyx, that resembles a Chinese lantern (hence the common name). Some of the species will bear edible fruit, such as P. peruviana (cape gooseberry), and will have a strawberry or pineapple flavour. The fruit makes a delicate garnish for sweet and savoury dishes, and glamorous cakes. They are also delicious eaten on their own – just fold back the papery calyx and bite off. Alternatively they can be dipped in fondant icing or dark chocolate to serve as an after-dinner treat. To store: Keep in the fridge for up to 1 week. Physalis main nutrients: Calcium, Iron, Vitamin A and C.
Wash the cucumber and cut into thin slices. Peel the tomatillo fruits, wash and cut in half. Cut dried apricots into strips. Rinse the lentils in cold water, put into lightly salted boiling water and cook for 3 minutes. Drain them. Mix laxseed oil, lemon juice and honey. 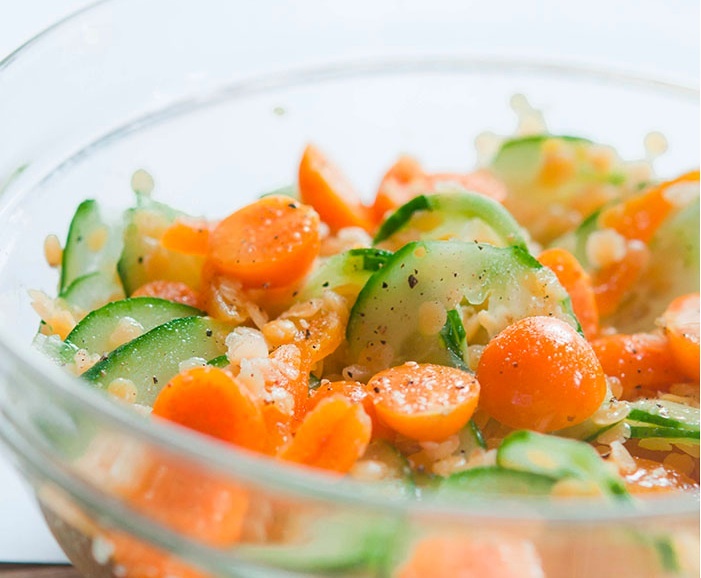 Mix salad ingredients in a bowl and pour over the dressing. Season with sea salt and freshly ground pepper. Physalis will definitely make a statement in your garden, adding colour and visual interest. This hardy plant would be ideal as borders; it can also be grown in containers. They can be either annual or perennial. Most require full sun and fairly warm to hot temperatures. Some species are sensitive to frost, but others, such as the Chinese lantern, P. alkekengi, tolerate severe cold when dormant in winter. It’s not a fussy plant and can tolerate most soils, including poor soils. Plant in full sun or partial shade. Gardeners can start plants from seeds. Planting should be done in early fall or spring. As these plants tend to spread quickly, they need to be divided to keep them from overtaking other plants. Divide clumps in the autumn or spring. Chinese Lantern is susceptible to aphids, spider mites and whiteflies. Chinese lanterns are ideal for cutting for use in home decor, adding beauty and colour to any space during the fall and winter months. Fresh cut stems look stunning, but they also dry beautifully. Simply cut the stems, hang them upside down and dry in cool, dark place. In Chinese medicine, Physalis species are used as remedies for such conditions as abscesses, coughs, fevers, and sore throat. Do you grow Physalis (Chinese Lantern) in your garden? What is your experience with this plant? Please share in the comments below! 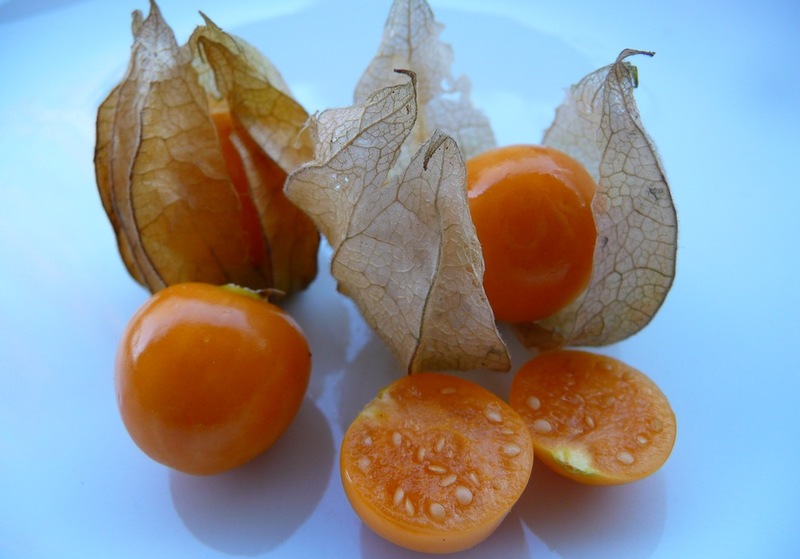 Do you sell Physalis (Chinese Lantern) seeds or have plants for sale? You can place your advertisement here. Contact us now!